Why Are These Five Stocks Losing Ground on Tuesday? The US stock market inched down on Tuesday amid concerns regarding the Chinese economy and a coming rate hike. 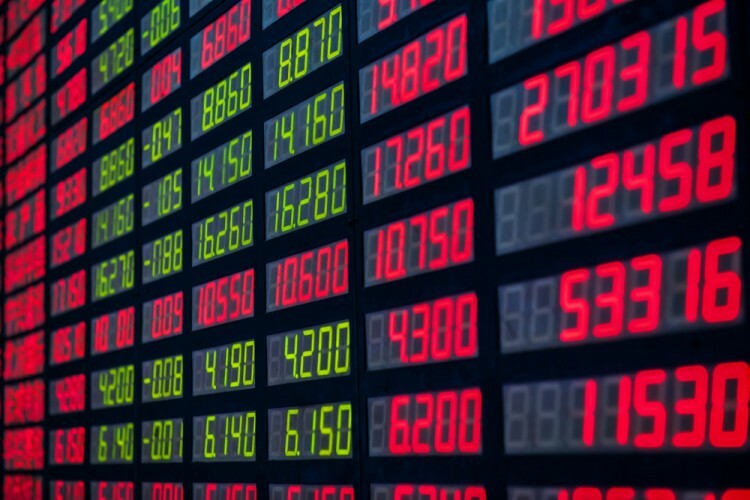 In the first hours of trading most stocks slipped, while among the losers are Sunedison Inc (NYSE:SUNE), Apple Inc. (NASDAQ:AAPL), Flotek Industries Inc (NYSE:FTK), ArcelorMittal SA (ADR) (NYSE:MT), and MannKind Corporation (NASDAQ:MNKD). Let’s take a look at the developments behind their decline. In addition, we will take a look at what the funds we follow think about these five stocks. At Insider Monkey, we track the activity of over 700 smart money investors in order to identify the stocks that they are collectively most bullish on. For example, the 15 most popular small-cap picks among the funds we follow (around which our strategy is concentrated) have returned around 102% since August 2012, outperforming the S&P 500 ETF (SPY) by some 53 percentage points (see more details here). Sunedison Inc (NYSE:SUNE) opened around 2.5% in the green, but has quickly lost the ground and is currently trading over 18% down on the back of the third-quarter financial results. The company posted net sales of $476 million, in line with estimates, but its net loss of $0.91 per share, was below the expectations of $0.69. Sunedison Inc (NYSE:SUNE), which sells some solar projects to its so-called yieldcos that establish long-term contracts with utilities, also said that it plans to reduce the number of assets sold to yieldcos, since low oil prices make this approach less attractive. Despite the 69% drop of the stock, Sunedison still has many fans among smart money investors. One of the most bullish of them is David Einhorn of Greenlight Capital, which owns nearly 25 million shares of the company (see what Einhorn said about Sunedison Inc (NYSE:SUNE) in his last investor letter). Apple Inc. (NASDAQ:AAPL)‘s stock has also inched down by some 2.40% on the back of a Credit Suisse report that suggested that the sales of iPhone could be declining based on lower production orders. According to CNBC, Credit Suisse lowered its forecast for iPhone demand for the first quarter of 2016 to 222 million from 242 million units. Investors and analysts have been concerned for a while now about Apple’s dependency on a single product, but the company has managed to prove the bears wrong reporting strong iPhone sales every quarter. At a forward P/E of around 12, Apple Inc. (NASDAQ:AAPL)’s stock still looks cheap and the company has been one of the favorites among smart money investors. Carl Icahn is one of the company’s biggest fans, holding some 52.76 million shares. In the current round of 13F filings, billionaire Ken Fisher’s Fisher Asset Management reported ownership of 11.12 million shares of Apple Inc. (NASDAQ:AAPL), having added 109,892 shares during the third quarter. On the following page we are going to discuss what drove lower the stock prices of Flotek Industries Inc (NYSE:FTK), ArcelorMittal SA (ADR) (NYSE:MT), and MannKind Corporation (NASDAQ:MNKD).